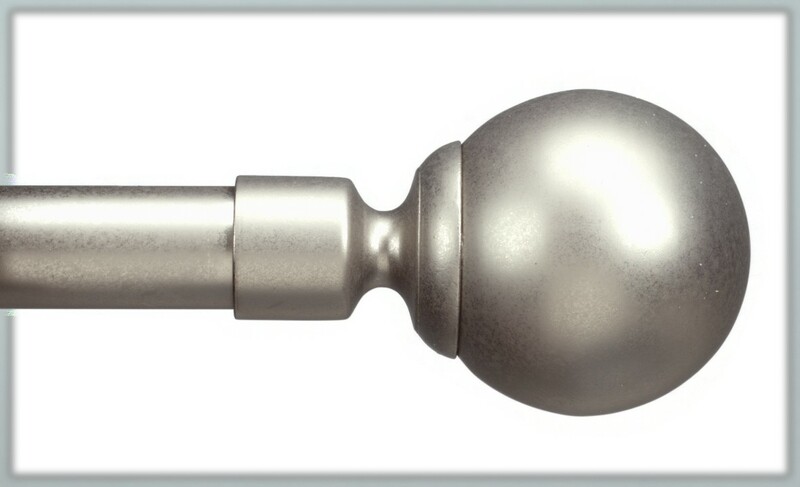 At the Blind and Drapery Showroom, we have the largest selection of metal drapery hardware available in the San Fernando Valley, the Conejo Valley and the Greater Los Angeles area. We feature metal drapery rods and metal drapery hardware from all of the major manufacturers including: Hunter Douglas, Skandia, Kirsch and many more. 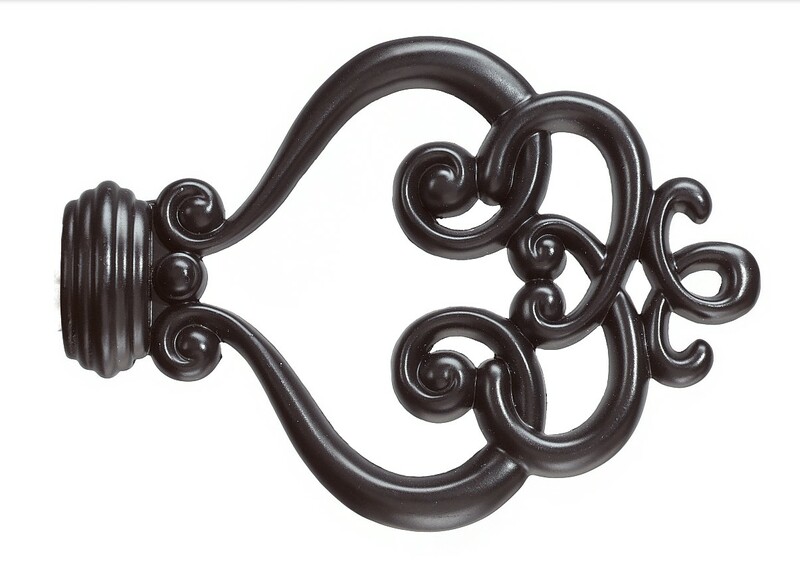 Metal drapery hardware can make a statement with an ornate. Or, more subtle metal drapery hardware designs can lend sleek but understated classic elegance or modern flair to your window treatments. Choose shiny or mat silver (aluminum) or black, for the ultimate in contemporary design. Or select from brushed or antiqued silver or gold for a more classic feel. 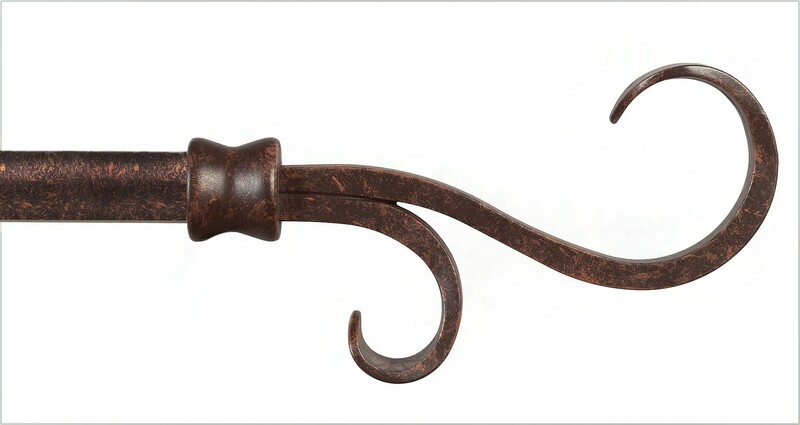 whatever your decor, there is a metal drapery hardware design sure to match your individual style and decorating vision. All metal drapery traverse rods are custom built to your exact specifications. 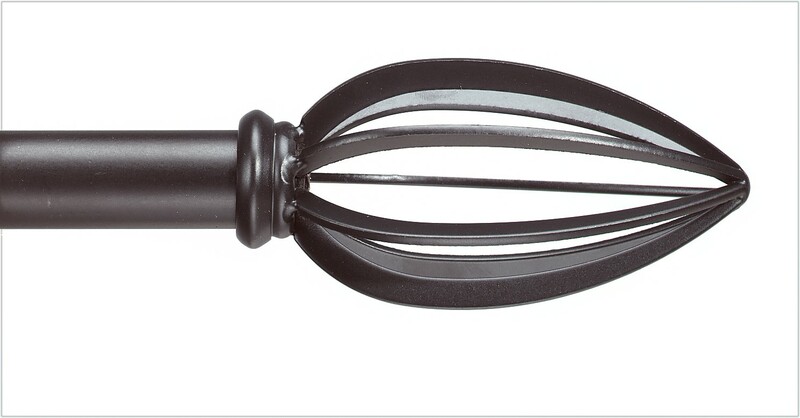 You select the style of the metal poles (drapery rods) as well as the “finials” (drapery rod decorative end pieces). Next you choose your color or finish. Every style can be custom ordered in a virtually unlimited array of colors and finishes. Finally, you choose your style of curtain rings or drapery grommets (for “ring-less hanging).